This week AW and S have really enjoyed working in Wondercare. They have confirmed a daily timetable with Zamo (the owner) and written it up to display in the foyer. AW and Zamo spent some time going through various policies necessary for registration. This has included writing up health & safety, child protection, behaviour management, and staff policies; assigning a Child Protection Officer; and updating the First Aid Kit. Information was also gathered for a booklet to go out to parents in anticipation of the increase in students next week as term starts. AW and S have also been working in Praise. This has proved to be more difficult, as there has been some resistance from the management. A meeting was held to address issues such as the way children are disciplined and hygiene in the ECD centre. However, AW and S have cleaned the toilets and kitchen, and ensured for the first time that all the children washed their hands before eating. 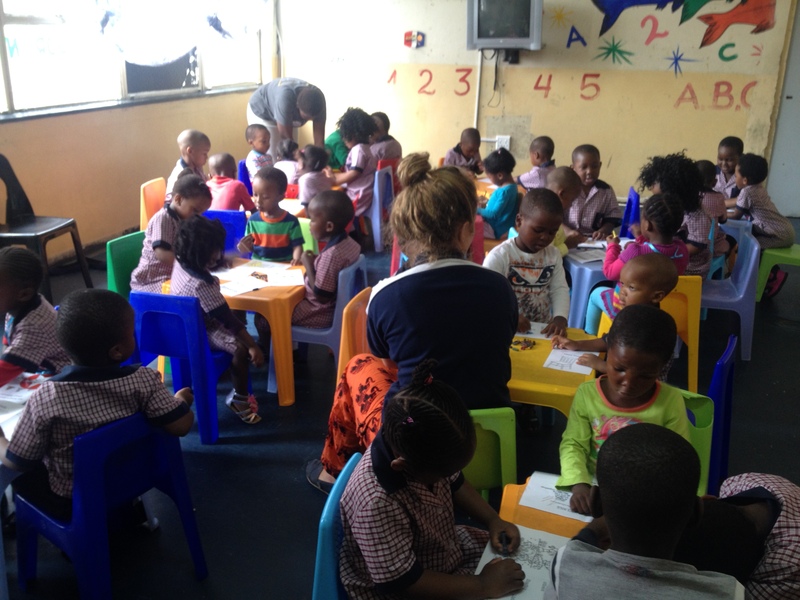 SF and A have been focused on writing the ECD report for Little Noah’s Ark. 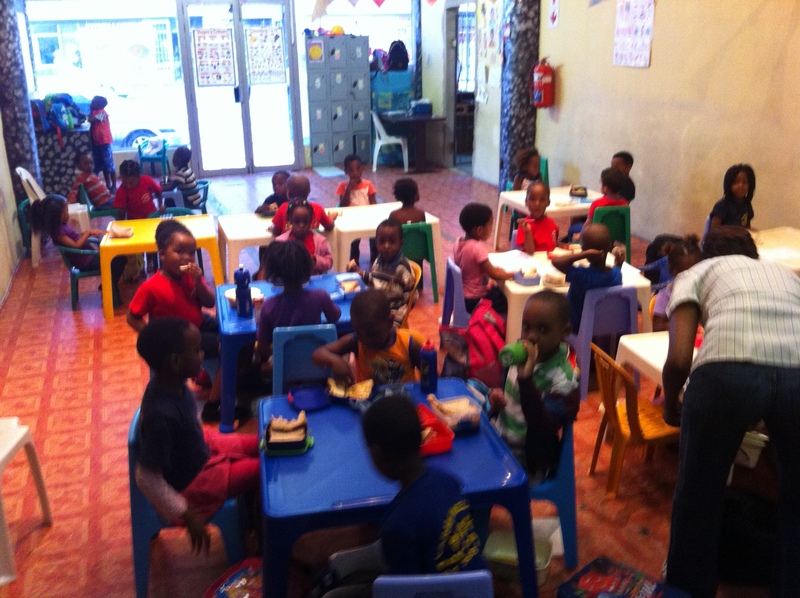 Therefore, their time in the ECD centre has been spent observing and completing the ECD assessment tool, whilst also assisting with craft activities with the children. For example, teaching the children how to use glitter for the first time. They have then been writing up the report at the hostel. The amount of paperwork has been lethargic at times, however there is a clear need for it and they can’t wait to start implementing the recommendations. Whilst at Carmenellos, ES and N have both spent time teaching. They have covered topics such as shapes, writing, and spelling. ES has also introduced the reading of bedtime stories before the children have their nap, and has been assisting with washing the children’s hands. Away from the crèche, they have created teaching aids of the alphabet to go up on the walls, and written child protection, behaviour management, and staff policies to be implemented next week. They have also started to plan the painting of the walls in the main room. ES and N have also been working in Disneyland Day Care, where they held a meeting with the owners to plan what they will do over the placement. They have started implementing hand washing and emphasising the importance of it to the children and staff. Similarly, child protection, behaviour management, and staff policies have been written. Each pair has also written a CIMCI lesson that we will start teaching next week. These cover topics such as safety, hygiene, and behaviour. 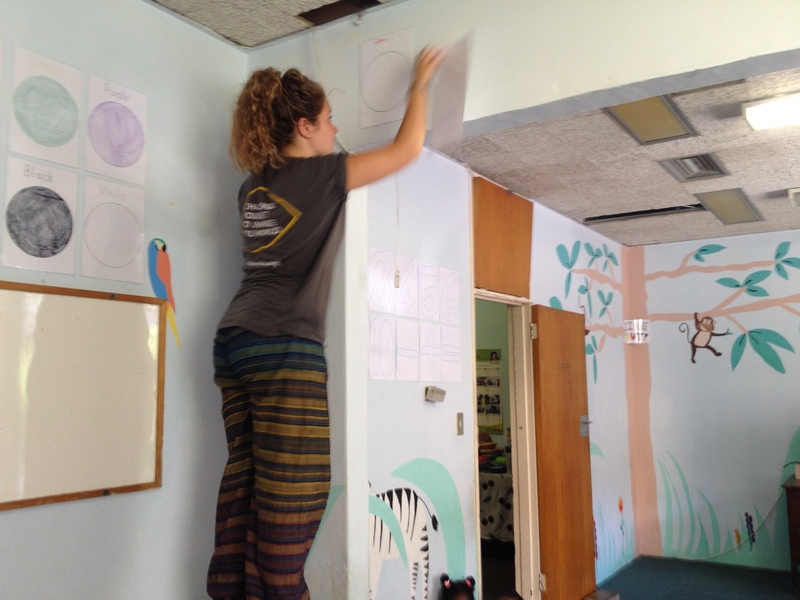 I has been visiting all the ECD centres, teaching games and songs as well as overseeing all the work that we are doing. As a teacher, I have written a reception curriculum, phonics outlines with a lesson example and a CIMCI lesson. I have also spent a lot of time going over necessary paperwork and sourcing materials such as paint.